I came across a really cool company the other day whilst surfing the web for local bouncy castle hire. 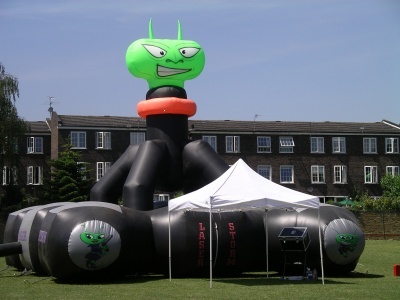 They are called Xtreme Vortex and specialise in mobile climbing walls and portable laser tag arenas. It brought back memories from my childhood where I experienced the laser tag arena and remember enjoying it so much. It looks like a bouncy castle, but its dark, smokey and you crawl around inside it with your laser gun trying to shoot as many of your opponents as possible. I Definately recommend it, maybe drinking games before hand would enhance the experience that bit more!